1. Total experience: 7-9 years with experience of 4-5 years in telecom equipment sales. 2. Should have handled customers in telecom domain & aware of customer's culture/sales process. Should have strong network & aware of key sources to initiate/establish a business. 3. 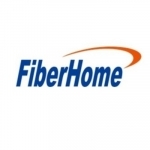 Should be able to work from scratch & have potential to develop new business for FiberHome independently. 4. Should be able to do Need-Gap analysis and bring innovative ideas to improve the business/Sale. 5. Vigilant with account and keep close eye on new initiatives/requirements/opportunities & strategize to crack the opportunity. 6. Documentation review & submission to customer.